IMPERIAL TOBACCO POLSKA Spółka Akcyjna the owner of “M MOCNE” R-68755 trade mark filed a request for invalidation of the right of protection for “AS MOCNY t” R-139925 registered for Zakłady Tytoniowe w Lublinie Spółka Akcyjna. 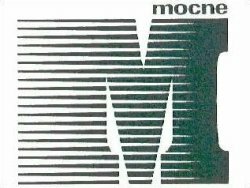 The Supreme Administrative Court in its judgment of 25 May 2006 case file II GSK 64/06 held that the word “mocne” (in English: strong) itself that is used as an indication of cigarettes, has not sufficient distinctive chracter as a trade mark. It may appear as part of a trade mark, but on a distinctive characteristic of a trade mark, which includes the word “mocne”, will decide other words or images and the word “mocne” will remain purely informational sign that could not become distinctive through use as a trade mark, even in a long term. The SAC held that all manufacturers of cigarettes have the right to use purely informational sign to indicate the quality of cigarettes sold. Categories: Art. 256 IPL | Art. 315 IPL | Art. 7(2) TMA | Art. 8(1) TMA | Art. 8(2) TMA | Art. 9(1)(i) TMA | distinctive character | likelihood of confusion | Polish Supreme Administrative Court | similarity of signs | trade mark invalidation.